Several children's swings are hung in close proximity at angles such that the normal swinging motion would cause them to collide with one another. The swings move on their own in an erratic but stately manner — they look as if a child has just jumped off. On the top of each swing seat is a bare loudspeaker facing upwards. 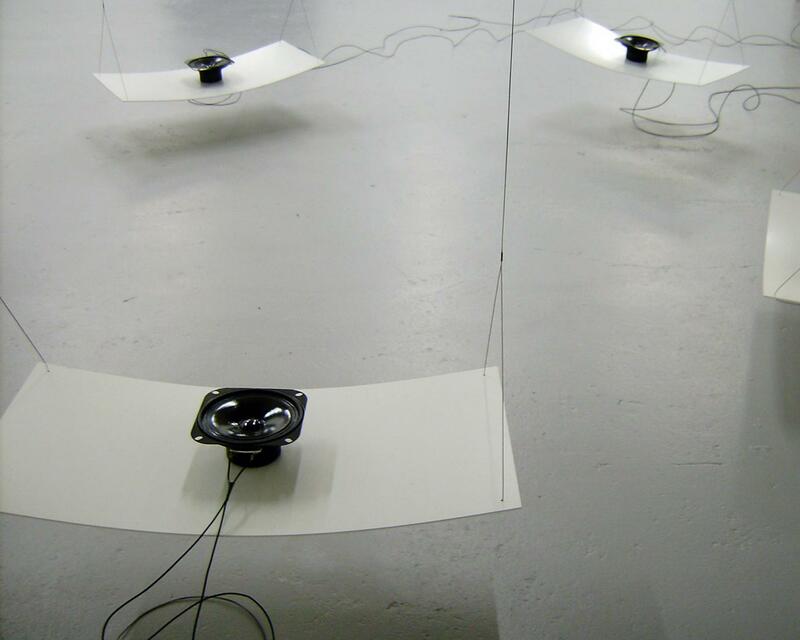 The speakers broadcast a varying range of long tones and sounds of static that change slowly as the swings move. The motion of swings without people lends them a haunted air, as if the actions of the children who once used them continue to stay in place long after they have departed. Over the last twelve years Ed Osborn has exhibited, performed and lectured across the world. He also served as the Director of SoundCulture 96, a festival of the sonic arts of the Pacific region and the largest sound art festival ever held in the United States. Ed is represented by the Catharine Clark Gallery (San Francisco) and Galerie Rachel Haferkamp (Cologne) and currently also holds a professorship in the Art Department at UC Santa Cruz.